Multiple touring car champion Fabrizio Giovanardi has left the Team Mulsanne Alfa Romeo World Touring Car Cup outfit. Giovanardi, a two-time British Touring Car champion and three-time winner of the European Touring Car Championship in the early 2000s, completed a deal to join the Romeo Ferraris-run squad in March. 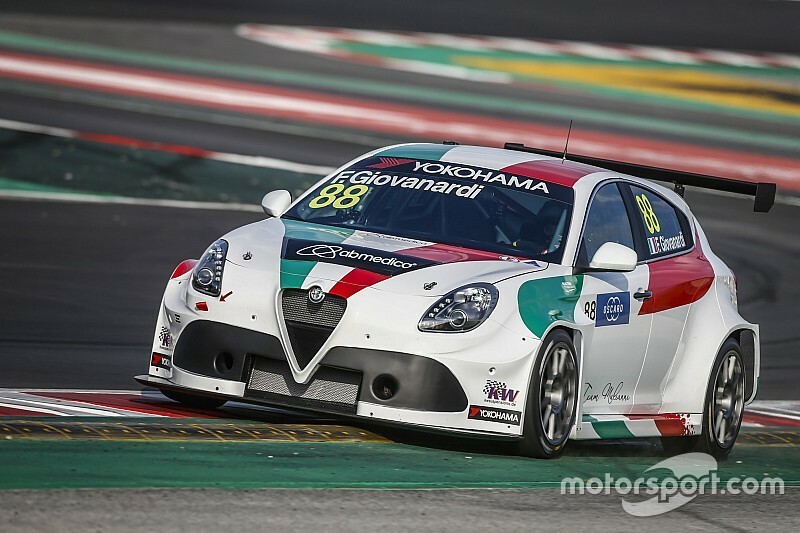 Neither Giovanardi or original team-mate Gianni Morbidelli scored a point in the opening half of the season as they struggled with the Giulietta, which is still yet to carry WTCR compensation weight at any point in 2018. The team then parted company with Morbidelli after June's Vila Real round. 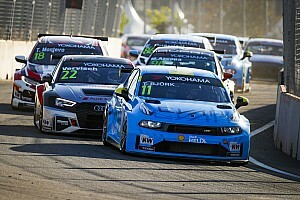 Romeo Ferraris was allowed to alter its suspension in the middle of the season and the team's form improved, with Giovanardi scoring its first WTCR points in the opening Slovakia Ring race with a fifth-place finish. The Italian was also in contention for a podium in the weekend's final race before ultimately finishing seventh behind new team-mate Kevin Ceccon. But while ex-GP2 racer Ceccon scored points twice at the most recent Wuhan meeting in China and got the Giulietta through to the Q2 for the first time in 2018, Giovanardi endured a torrid event. He started all three races from the back row and retired twice - the first of which was a result of a hit under braking from Tom Coronel's Boutsen Ginion Honda Civic in race one. Citing his "disappointment" at a lack of results that reached "breaking point" after the China visit, Giovanardi has now left the squad. In acknowledging Giovanardi's decision, a Romeo Ferraris statement said the split occurred "because of the impossibility [that] emerged during the season to adapt the car to the needs of the Italian driver". “It has not been easy to take this decision, and there is for sure a lot of disappointment for not having obtained the results we would have wanted," said Giovanardi. "I came back to racing to win and I accepted this challenge with Romeo Ferraris because I believed in the project and in the team. "Unfortunately, things reached a breaking point in China, also because of technical issues impossible to resolve so far from the factory. "What will remain is the pride for having conquered the first FIA WTCR points for the Giulietta and to have performed several races in flamboyant style during the season. "Despite the unhappy closing to this journey, I want to thank the team and all its members, on track and at home. "They always gave everything they had with great passion, and I wish them all the best for the remainder of the season and beyond. "I still have a hunger for racing and winning and I want to say to all my fans that I will do everything to find a project that allows me to put a good show on the track for them and to fight for top positions". TCR Italy runner-up Luigi Ferrara will replace Giovanardi for the remainder of the season, starting at Suzuka this weekend.